Measuring 170mm high. Antique bronze award with gold, white and black detail. 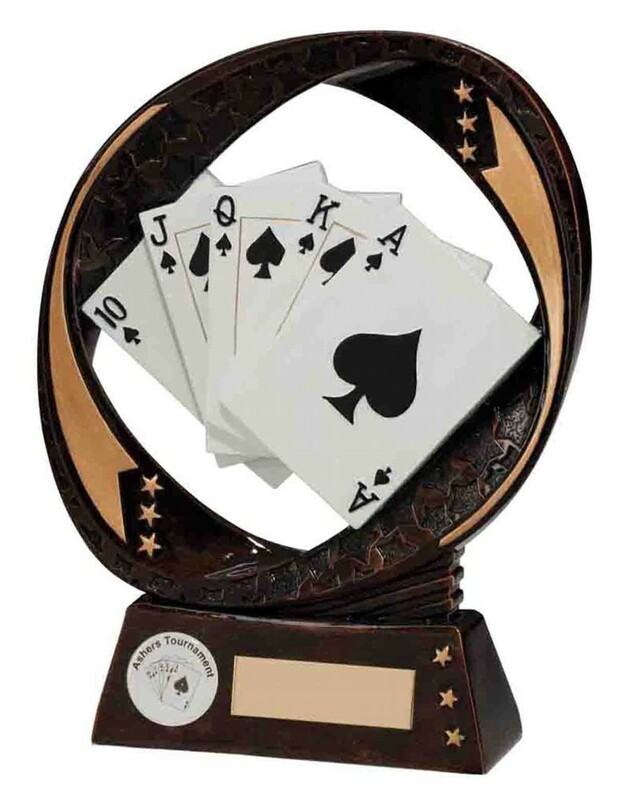 A solid resin poker trophy.